If you're just getting set up in productboard, you'll want to load in existing features and requests. If you're just looking to perform a one-time import from a spreadsheet, use the Paste list of features option on the Features board. But if you're looking to automatically import new features on an ongoing basis – like whenever a new row gets added to a spreadsheet (e.g. representing an incoming feature request) – you can use Zapier in combination with Google Sheets to route these into productboard! Owner — the person on your team who owns this feature. Name — the title of the feature. Status — current development status of the feature. By default, this can be "New idea", "Candidate", "Planned", "In progress", "Released", and "Archived". However, you can customize feature status values. If the feature statuses listed in your sheet don't match the feature statuses in your productboard space, feature statuses will default to the first available status in productboard (e.g. "New idea"). Description — text describing the feature. Tags — tags for retrieving certain features later. 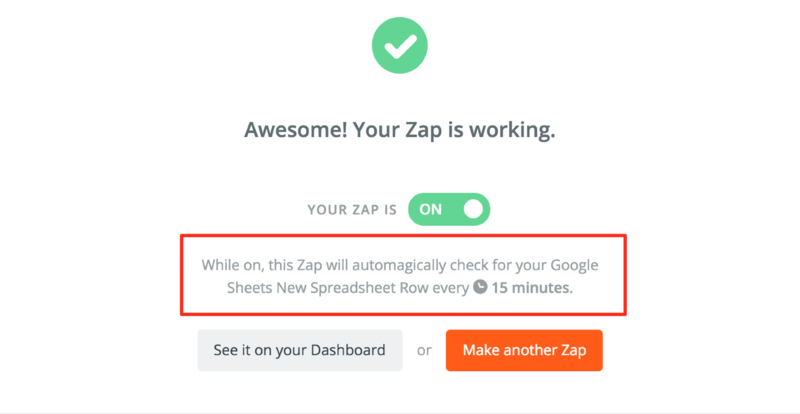 Zapier will ask you to authorize access to your Google account and identify which sheet you'd like to pull data from. If there any fields you would not like to map dynamically, but would instead prefer that the value remain constant for all new features created, you can enter that constant value in place of selecting a spreadsheet column (or for a non-required field, leave it blank). Want to route different features to different owners based on an existing data field? Under Feature Owner select Use a Custom Value (advanced). Sit back and watch your new feature requests stream into your Features board!